In order to combat hate speech, and “defend the principles of equality and human dignity,” Guterres asked his special adviser on the prevention of genocide, Adama Dieng, to coordinate a strategy and plan of action for the UN system. UN Secretary-General Antonio Guterres has expressed concern over the rise of racism and intolerance in liberal democracies and authoritarian states and said hate speech is “spreading like wildfire” through social media. 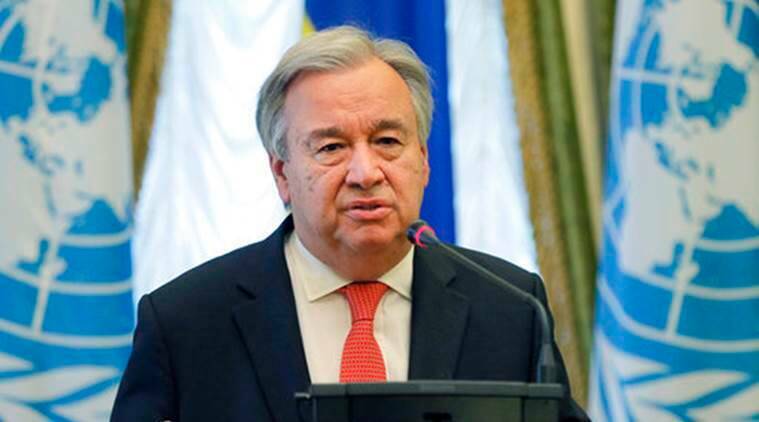 “I am deeply alarmed by the current rise of xenophobia, racism and intolerance, fed increasingly by nationalist and populist ideologies,” Guterres said. Hate speech is entering the “mainstream, spreading like wildfire through social media and radio. We are seeing it spread in liberal democracies and authoritarian states alike”, he said at an event at the UN General Assembly on Monday. The UN Chief had last Friday visited the Islamic Center in New York to show solidarity and express his outrage. “Today and every day, we must stand united against racial and religious hatred and the terrorism of bigots,” he said. He voiced concern that “no country or community is immune” to the rising xenophobia and racism, emphasising that “these dark forces” menace democratic values, social stability and peace, and stigmatize women, minorities, migrants and refugees. “When people are attacked, physically, verbally or on social media, because of their race, religion or ethnicity, all of society is diminished. It is crucial for all of us to join hands, stand up and defend the principles of equality and human dignity,” Guterres said. In order to combat hate speech, and “defend the principles of equality and human dignity,” he asked his special adviser on the prevention of genocide, Adama Dieng, to coordinate a strategy and plan of action for the UN system. “We are all connected by our humanity. We are all equal. We should all be looking out for each other’s welfare,” he said. “Hate speech isn’t free speech. It’s racism,” she said, adding that blaming problems on migrants must be pushed back and short-sighted nationalism must not be allowed to derail the search for global solutions. “The challenges we face require global co-operation like never before. “Multilateralism makes us stronger, not weaker. The 2030 Agenda is a framework all governments can use to respond to the needs and aspirations of their citizens,” Espinosa said. In 2007, the UN designated March 25 as a day to honour and remember those who suffered during the transatlantic slave trade. “We pay homage to the millions of African men, women and children who were denied their humanity and forced to endure abominable cruelty across centuries,” the UN chief said. Over the course of 400 years, more than 15 million people have been killed and irrevocably harmed “by an institution that should never have existed,” he said. Guterres flagged that they were more than just victims, and often “sacrificed their lives for the cause of freedom and dignity”. The UN secretary-general urged everyone to remember not only the brutality meted out against them, but also their “remarkable endurance, resilience and countless contributions” to humankind.